The Spanish Armada was a powerful Spanish navy fleet. It was made up of 130 ships fitted with 2,500 guns. They carried 30,000 soldiers and sailors. 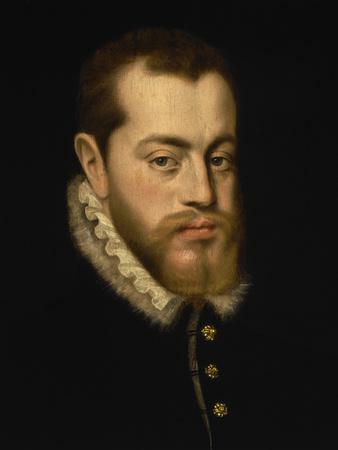 They were used by King Philip II of Spain in 1588 to attack England because he was angry that Queen Elizabeth I had not punished Sir Francis Drake and other English sailors for plundering Spanish galleons (ships). He also felt that it was his duty to invade and conquer England to convert it back to the Church of Rome after Henry VIII split from it. Beacons were lit along the south coast of England when the Armada were sighted off Cornwall on 29th July 1588. It is rumored that Sir Francis Drake (the vice-admiral of the English fleet) was playing bowls on Plymouth Hoe when he heard of their arrival. After several fights in the English Channel, the Armada anchored near Dover on 6th August 1588. The following evening, on 7th August 1588, the English set alight fireships and sent them towards the Armada in the English Channel. The Armada thought that they would explode at any second so they cut their anchor cables and quickly scattered. The wind blew the Armada northwards. By 13th August 1588 however, the Spanish sailors were suffering from thirst and exhaustion so their only option was to give up and sail back to Spain. During September 1588, strong winds and terrible rain forced many ships onto rocks off the coast of Scotland and Ireland. They couldn't secure shelter as they had no anchors and so many were wrecked (sunk). In the end, about 5,000 Spanish sailors died and only half of the Armada fleet returned back home to Spain. Meanwhile, no English ships had been sunk and less than 100 English sailors died. They celebrated their victory with a medal saying 'God Blew and they were Scattered'.